Non-woven Self-adhesive Bandage is made of non-woven. It can be self -adhere, but is not able to adhere skin and hair. So users do not worry hurting themself. 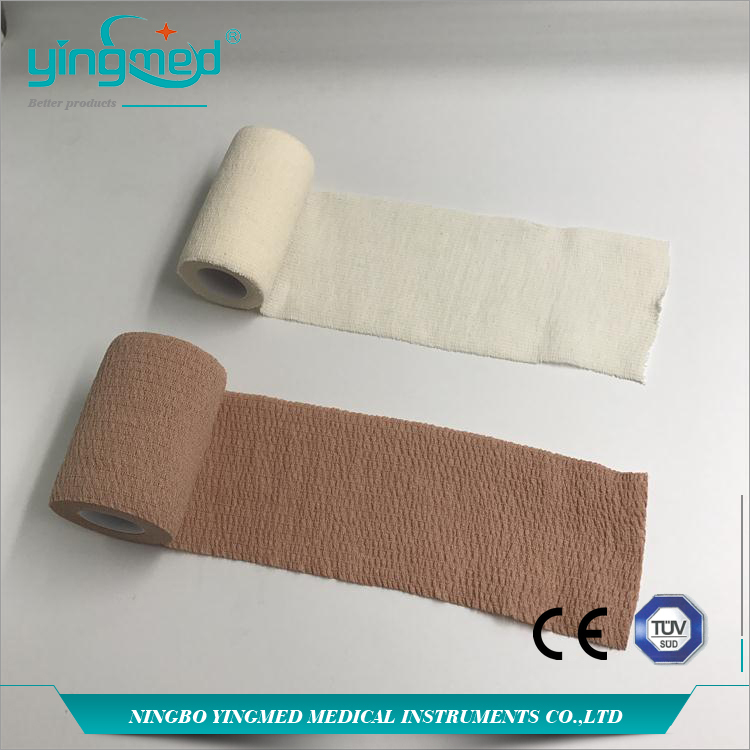 The length of Non-woven Bandage Adhesive could be streched to more than twice of itself, so that it could offer a perfect adjustable binding and suppporting force to the binding parts. Thanks to the unfoled edge, this non-woven bandage could be easy torn to the various size you would like, without scissor. 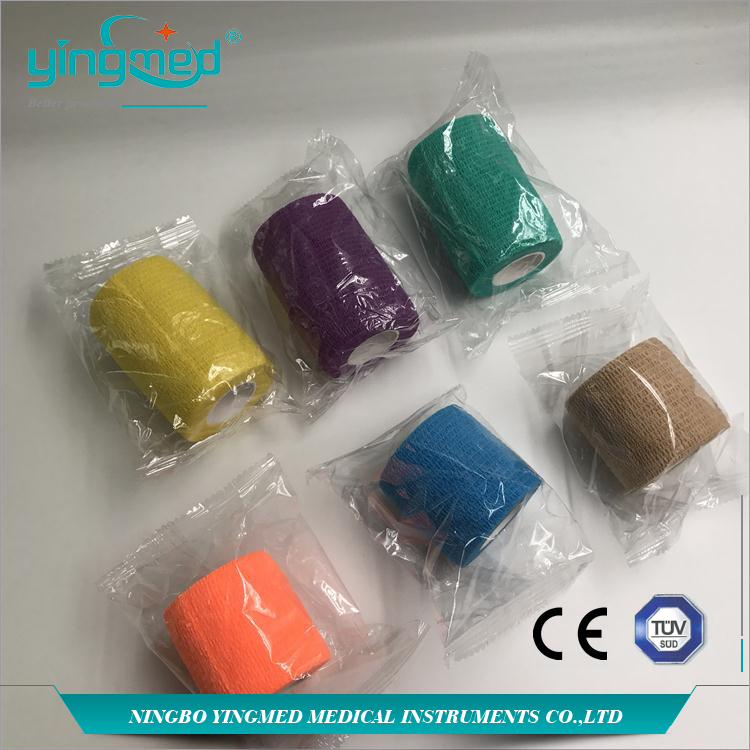 Yingmed offers a large selection of Colorful self-adhesive bandage. Length:4m, 4.5m, 5m, 6m, ect. Looking for ideal Colorful Self-adhesive Bandage Manufacturer & supplier ? We have a wide selection at great prices to help you get creative. 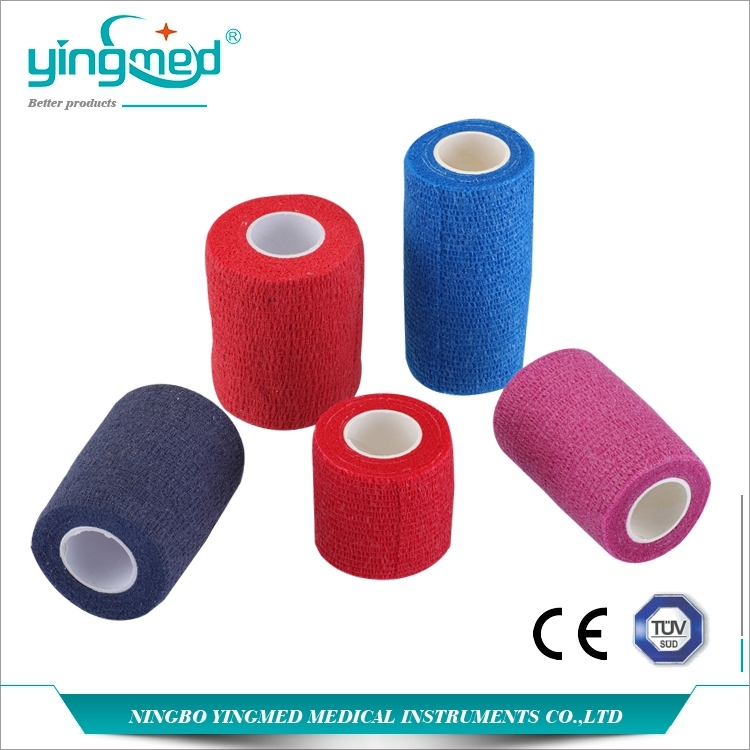 All the Non-woven Self-adhesive Bandage are quality guaranteed. We are China Origin Factory of Non-woven Bandage Adhesive. If you have any question, please feel free to contact us.